This fall's multitude of celebrity hair transformations isn't only reserved for females, the guys can get in on the hair make-over action, too. As we saw this week, Justin Bieber went platinum blonde (umm...), but he isn't the only Hollywood dude to lighten his locks. 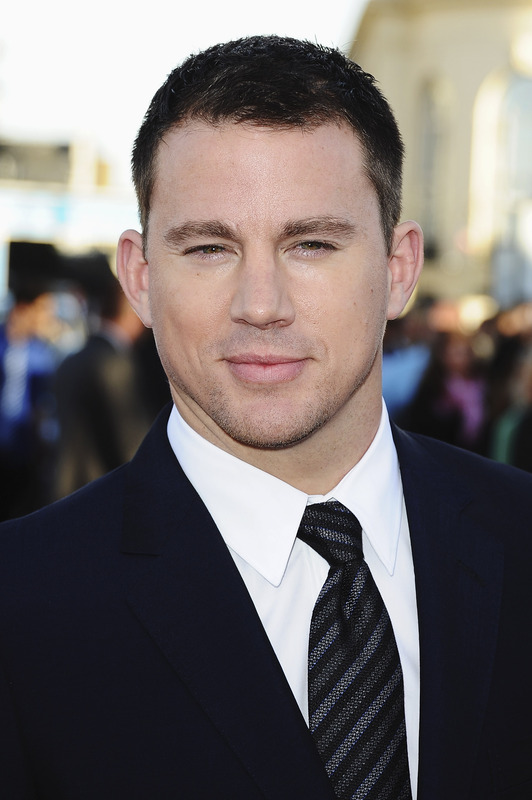 Channing Tatum went blonde, and the lighter 'do might look a tad bit better on him than the Biebs' did. The actor stepped out on Friday, revealing a brighter head of hair. But the swap isn't for vanity (or boredom), Tatum went blonde for the movie Hail, Caesar, the new Coen brothers' comedy, which he stars in alongside George Clooney. The 34-year-old not only switched up his color, but his hair looked longer, too, and was styled in a side swoop. It's definitely not the best I've seen the former Sexiest Man Alive look, but we can let this one slide since it's for a movie, and a Coen brothers' film, at that. We've already gotten a peek at Clooney's gladiator costume, and now with Channing's new hair, I'm starting to get excited for this flick. But unfortunately, we'll have to wait until February 2016 to see his new look on the big screen. I guess those on set photos will keep us guessing until then.